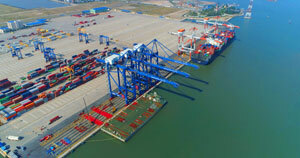 HÀ NỘI – Frozen shrimp exported to the Republic of Korea (RoK) from member countries of the World Trade Organisation (WTO) must undergo quarantine checks before shipping to the market. This was stated in new regulations under the country’s law on fishery disease management. The embassy of the Republic of Korea in Việt Nam has delivered an announcement about these new regulations from the country’s Ministry of Oceans and Fisheries to Việt Nam’s Ministry of Industry and Trade because Việt Nam, a WTO member country, has been exporting shrimp to the RoK for many years. South Korea has added frozen shrimp products to the list of seafood products that must undergo quarantine checks before entering the country from April 1, 2017. At present, frozen abalone and oyster are required to undergo quarantine checks before being exported to the country. The RoK has recognised six centres in Việt Nam that qualify to undertake quarantine checks on seafood products exported to the country. 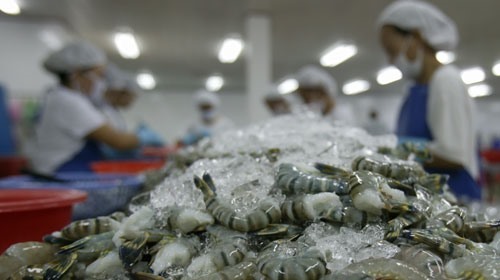 From April 1, the centres must cooperate with South Korea’s relevant offices to implement quarantine checks on Vietnamese frozen shrimp products, chinhphu.vn reported.